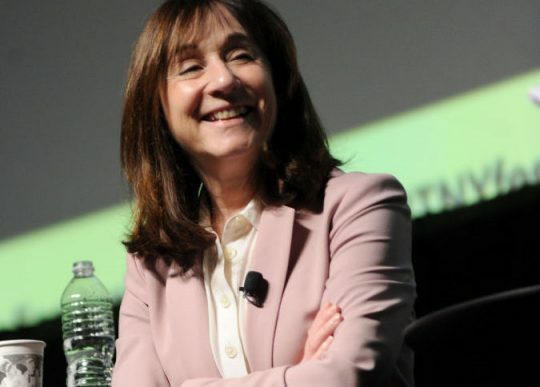 New Yorker reporter Jane Mayer suggested in a new interview that she and Ronan Farrow reported on Deborah Ramirez's uncorroborated accusation of misconduct by Supreme Court Justice Brett Kavanaugh out of eagerness to show a "pattern" of such behavior. The veteran journalist told Elle her recollections of the Clarence Thomas hearings, the treatment of Anita Hill by the Senate, and the public informed her judgment regarding Kavanaugh. "So having watched this before, I knew that key issues would be whether the judge had a pattern of similar behavior, since that helps establish who is telling the truth when there is a standoff, and whether there were credible corroborators on either side," she said. "Knowing this is why Ronan Farrow and I were so alert to the significance of other accusers, such as Deborah Ramirez. Her allegation showed that, if true, yes, there was a pattern of misconduct, and likely another side of the judge." Following the public accusation by Christine Blasey Ford last month that Kavanaugh sexually assaulted her at a house party in 1982, Mayer and Farrow reported on Ramirez's claim that Kavanaugh exposed himself to her at a Yale dorm party when he was a freshman. Farrow and Mayer, who have broken significant stories in the #MeToo era, came under criticism for reporting on the allegation in spite of being unable to, in their own words, confirm "with other eyewitnesses that Kavanaugh was present at the party." Ramirez acknowledged being drunk, "foggy" and "slurring her words" at the time of the alleged incident, and needed six days of "carefully reassessing her memories" before going on the record with The New Yorker. While some classmates said they had heard of such an incident happening or thought it was possible, no one could directly confirm her story. Other Yale classmates said it was not true and the notion was "completely out of character" for Kavanaugh. The New York Times reported it could not corroborate Ramirez's story and that Ramirez had contacted former Yale classmates to see if they remembered, adding she "told some of them that she could not be certain Mr. Kavanaugh was the one who exposed himself." A Democrat, Ramirez said that her decision to go public on Kavanaugh was not politically motivated and that she "works toward human rights, social justice, and social change." Mayer told Elle she felt "empathetic" toward women if they are "telling what appears to be the truth." "As a reporter, my heart goes out to the powerless and vulnerable who try to tell the truth in the face of great risks, no matter who they are. As a woman, I do feel empathetic toward other women, if they are telling what appears to be the truth," she said. Kavanaugh strongly denied the accusations of misconduct. He was confirmed to the Supreme Court on Saturday by a 50-48 vote and began hearing cases on Tuesday. This entry was posted in Politics and tagged Brett Kavanaugh, Ronan Farrow, Sexual Harassment, Supreme Court, The New Yorker. Bookmark the permalink.